Meanwhile, Rich focused on construction, flying to Taiwan to see Tiger&apos;s Eye in progress. The shipyard visit intrigued him, as it helped him understand not just how his own yacht was being built, but how all Hargraves are built. "It takes 18 months to get a boat," he says, "and they had 16 boats there, so I could see any month of construction that I wanted to." Note the door behind the hot tub. It leads directly to a day head, so kids in wet bathing suits needn&apos;t walk on the skylounge carpeting. The family found naming the new Hargrave quite a challenge. 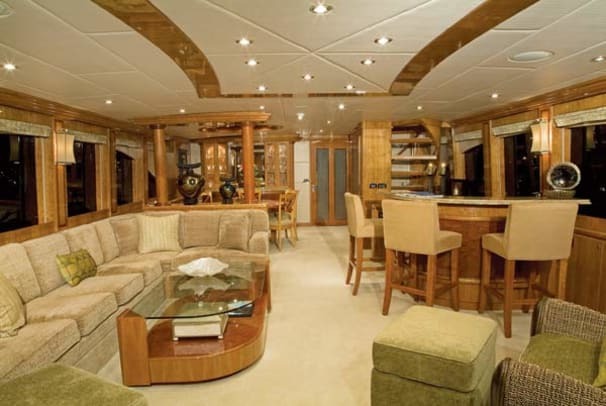 (There&apos;s nothing made of Tiger&apos;s Eye stone on the new boat.) Their 65 doesn&apos;t have a name, so coming up with one isn&apos;t something they&apos;ve had to wrestle with in the past. 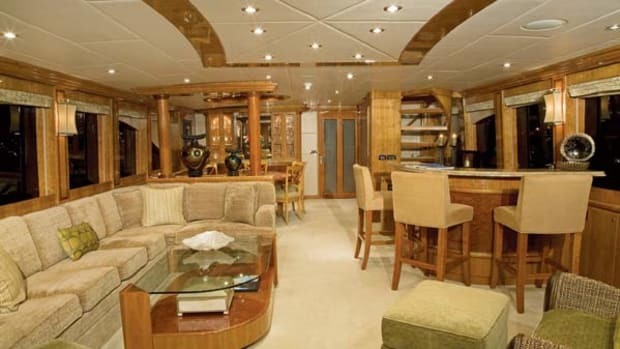 They looked to other motoryachts for inspiration but came away disappointed. "It&apos;s always Lady something or other," Tami says. "I wanted the name to mean something to our family. It was Rich&apos;s vision that got us this boat. We were in a Chinese restaurant, and we were looking at those paper placemats, and Rich was born in the year of the tiger. So I said, &apos;Tiger&apos;s Eye,&apos; and that was it." But perhaps the most difficult task for the Frains was selecting a crew. That&apos;s not because they didn&apos;t get any help; in fact, Hargrave sent the resumes of prospective captains to their broker, who forwarded ideal candidates on to them. What made hiring crew hard for the Frains is that they were so used to doing all the onboard work themselves. "It&apos;s like in Rain Man," Rich quips. "I&apos;m a very good driver." "This is hard for us because we run the other boat ourselves," Tami says. "I like to clean the boat. I like to tie the lines." 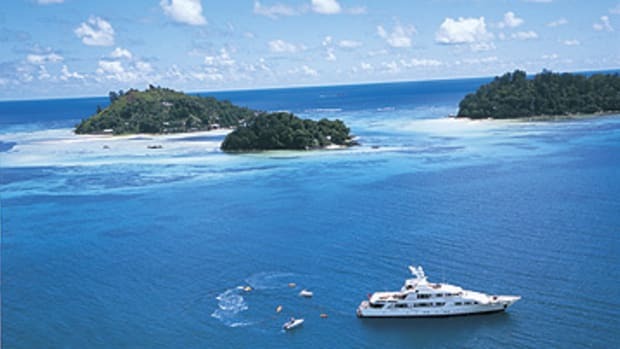 They did bring on a full-time captain and a full-time mate, but their onboard chef will be part-time—and may not be the same chef that charter guests have onboard. Tami is still trying to work out those details, though she&apos;s already impressed with the chef&apos;s abilities. "We put her to the test," she recalls. 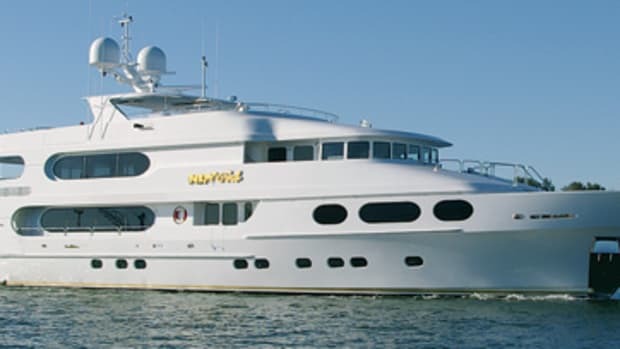 "We got the boat and did the shakedown cruise, and she had to provision in two days for nine guests plus the Hargrave team. It was 13 people for two weeks, and she did it." 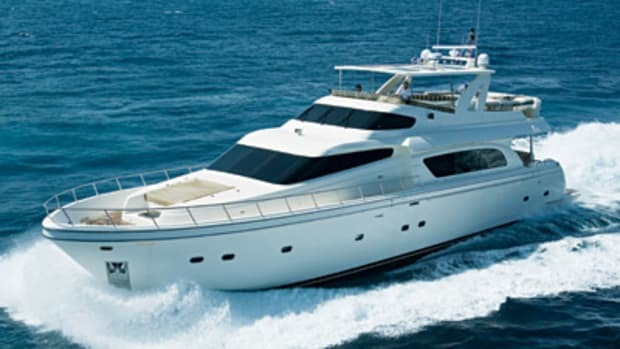 They intend to keep Tiger&apos;s Eye in West Palm Beach, which will be their base from which to cruise to the Bahamas, the Caribbean, and the Dominican Republic for an upcoming Hargrave rendezvous. Plans are for a cruise up to New England in 2009. 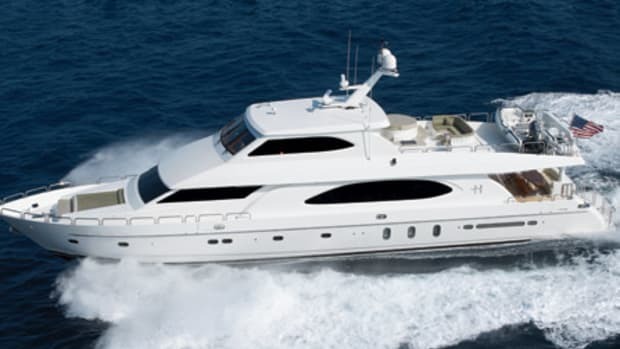 Tiger&apos;s Eye will be available for ten to 15 weeks of charter in those areas each year, mostly to keep the crew and machinery onboard "fresh," as Rich puts it. 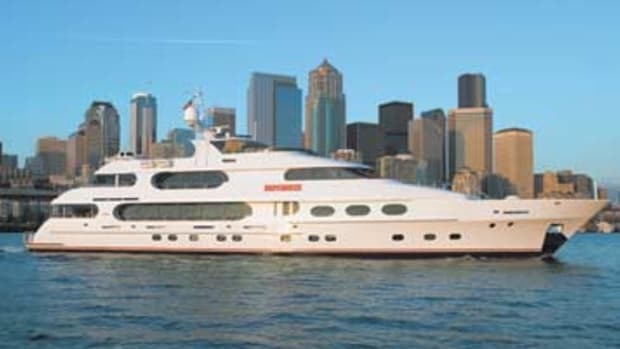 And though the Frains are thrilled with both Tiger&apos;s Eye and their 65, which is still in Chicago, they&apos;re already talking about perhaps building another boat in the future. They simply enjoyed the build process. 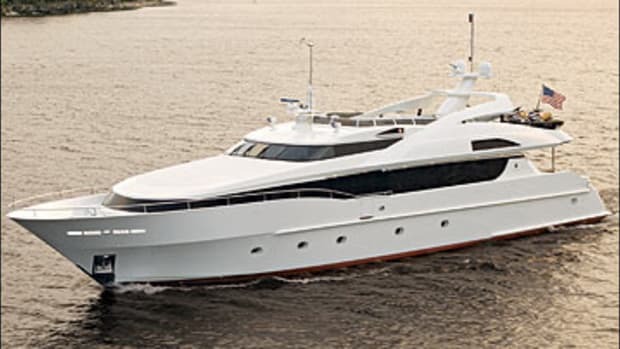 "I said, &apos;Maybe we should put a for sale sign on it now,&apos;" Tami says with a chuckle, the yacht being only three months old. "It was just so much fun to build." "The fun part was working with Hargrave, working with Shelley," Rich adds. "I&apos;m sure Hargrave will go up to 135 or 150 feet because they have to keep up with their customers. Which we are. It&apos;s a sickness." It seems they&apos;re instilling that same bug in their own children, who are 29, 26, 14, and seven. 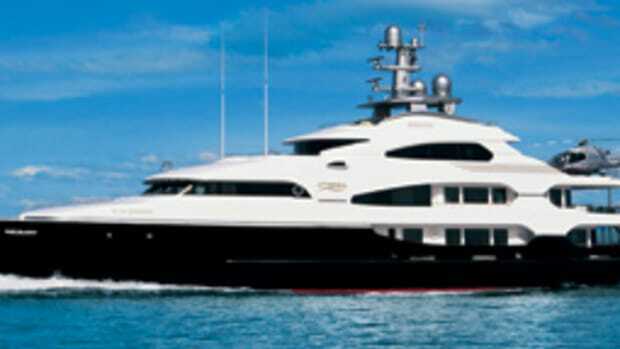 It&apos;s the seven-year-old, Claire, who seems to be the most smitten with bigger boats now that she&apos;s seen the new yacht. "When we put the 65 away for storage in Chicago during the winters, she cries," Rich says. "[With] this boat, she said, &apos;Daddy, two more feet and we could have had a hundred.&apos;"
The way the Frains are talking, little Claire might see that and more in the years to come. 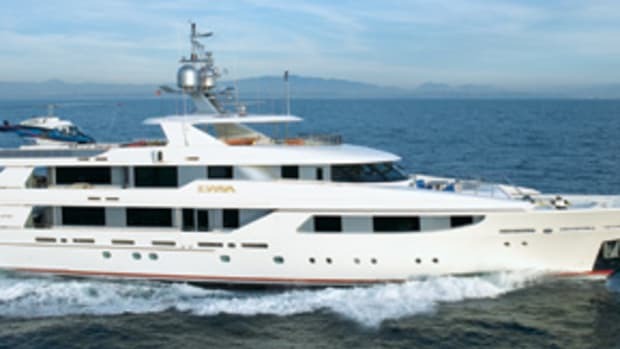 And given their experience building Tiger&apos;s Eye, it just might be onboard another Hargrave. 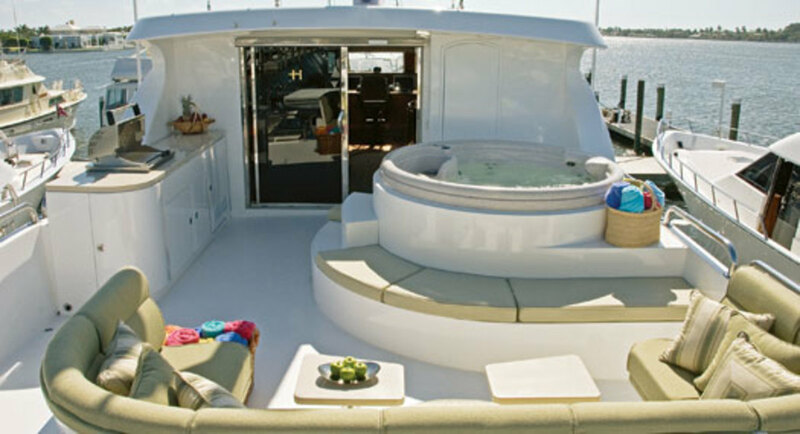 For more information on Hargrave Custom Yachts, including contact information, click here.